Last week my oldest daughter called me in a panic about a paper she had to write for a philosophy class. She was experiencing a bad case of writer’s block. I tried to talk her through one of the concepts she was supposed to address in the paper. Although she was patiently listening to me, I could tell she was not really engaged in the conversation. I finally asked her, “Honey, what’s really going on?” She burst into tears. After her initial questioning why anyone would need philosophy, she finally got to the heart of the matter. She admitted she was overly tired because she had over committed to a bunch of small things. At the time, they did not seem like much, but now the small things were big things that were overwhelming and weighing her down. “A philosophy professor stood before his class and had some items in front of him. When class began, wordlessly he picked up a large empty mason jar and proceeded to fill it with rocks, rocks about 2″ in diameter. He then asked the students again if the jar was full. They agreed it was, but still laughed. The professor picked up a box of sand and poured it into the jar. Of course, the sand filled up everything else. ‘Now,’ said the professor, ‘I want you to recognize that this is your life. The rocks are the important things – your family, your friends, and your health – anything that is so important to you that if it were lost, you would be nearly destroyed. 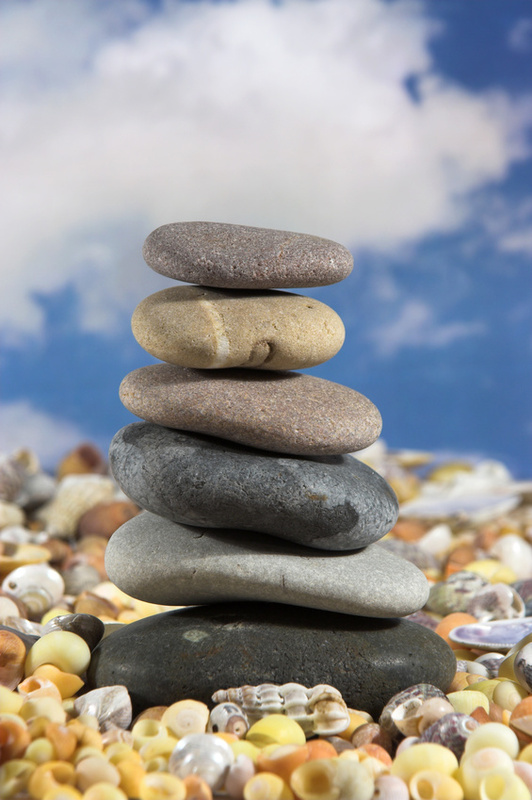 The pebbles are the other things that matter like your job, your apartment or house, your car. The sand is everything else. The small stuff. ‘If you put the sand into the jar first, there is no room for the pebbles or the rocks. The same goes for your life. If you spend all your energy and time on the small stuff, you will never have room for the things that are important to you. For the purpose of answering her question of “Why anyone should have to take a philosophy class?” I shared with her that philosophy is an important and valuable intellectual exercise because it challenges one to get clear about their guiding principles, values, why we believe what we believe and consider how our life does or does not reflect these beliefs. (I will shamelessly admit that one of my first concerns was how to motivate her to begin and finish the paper that was due the next day.) Yet, more importantly, it gave us an opportunity to talk about the small stuff of life. For most of us, the small stuff builds up, takes over, and consumes the majority of our time and energy. The small stuff fills the spaces in our lives and can squeeze out the more important things. Thinking of sand as the small stuff of life, think about what sand can do. Sand can bury a car, a house, or a person. Grains of sands are small, but when they are combined with a larger number of other grains of sand, it is a force to be reckoned with. Sand irritates and can be painful. Have you gotten sand in your eyes? It is not a pleasant thing! The truth is the small things that often hurt us worse than the bigger things. The small things add up over time and they soon consume us, our relationships, even our faith. They can become burdens that drain us of faith, hope, and love. During this Lenten season, a time of prayer and contemplation, I encourage you to consider the make up of our your life. What are your rocks—the most important things that if they were lost, you would be nearly destroyed? 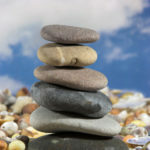 What are the pebbles—the other things that matter? Moreover, what is the sand—the small stuff, which consumes too much of your time and energy and takes away from what is important in life? Are things in balance for you or out of balance? Is there a balance for you? Or is your jar too filled with the small stuff? What do you need to change? Seek God’s guidance and wisdom. Ask God to enable you to re-imagine, restore, or reset your priorities. May you rediscover the joy of living a life worthy of God’s created desire and purpose for you.